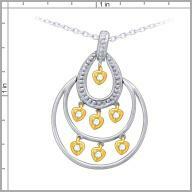 Sterling Silver / 14K yellow gold and diamonds 0.0875ct Dangle Pendant w/ 18"Chain. 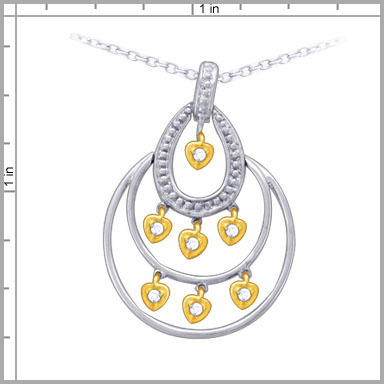 Dress to impress with this pristine pendant! Crafted from sterling silver and 14K yellow gold, this pretty dangling necklace features seven round full cut diamonds in prong setting. The total diamond weight is 0.0875ct approx. H in color and I1 in clarity.It comes with a 18" silver chain.